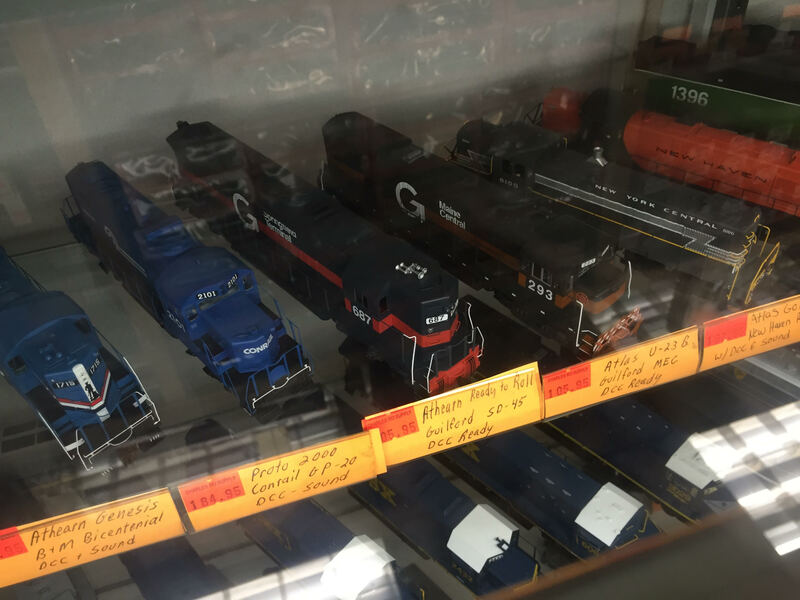 THIS MODEL RAILROAD STORE IS HUGE! TRAINS GALORE! Okay, maybe not like the entire Walthers catalog, but the HO selection was several decent. Several alises of buildings, figures, track, cars, etc. There was a large section for generic scenery / Woodland Scenics stuff. 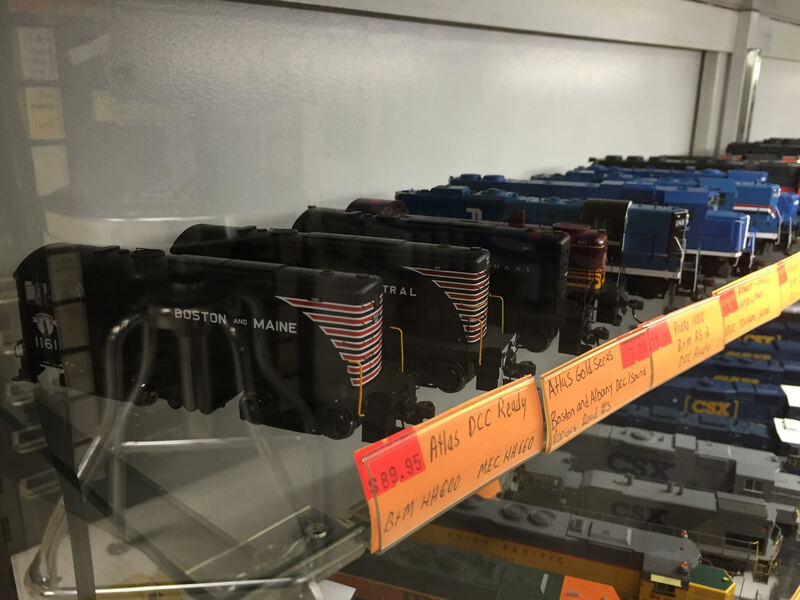 The prices appeared to better than Walthers but I haven’t been shopping for model trains in a long time, so who am I to say? Also, if you enjoy larger scale, over half this store is focused on O and G scales.